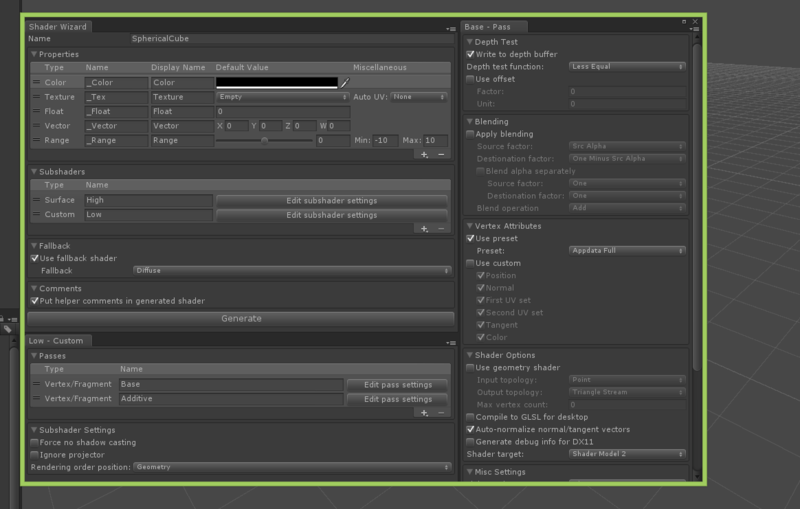 ShaderWiz is a shader scaffolding tool for Unity that helps you configure your shader to work with the engine. All the necessary property fields, input struct members, preprocessor directives, custom functions that you would normally have to write by hand when you create a shader are generated for you. ShaderWiz also includes helpful comments in the generated skeleton to help you get started quickly. // If you want to access a property, declare it here with the same name. // Define vertex output struct here. // Implement vertex shader here. // Implement fragment shader here.